So..that’s a homonym- Too or moree wurds dat aar pronawn da seym but aar diffurrant in meening and speling. Anyways I want you to take part in this NESCAFE "Chill Lah Plex" Contest and stand a chance to win cash and prizes, total worth up to RM 67,000!!! No proof of purchase is required for participation in this contest!!! You only need to write a script/story featuring any or all of the NESCAFÉ Chilled Coffee cans! That’s all! Really. Stage 1: Calling all aspiring storytellers! original story featuring any or all of the NESCAFÉ Chilled Coffee cans. Once you’re satisfied with your masterpiece, submit your entry. Submission Deadline: 9th August 2009! Top 20 prizes: RM 2000 for each 20 finalist! If you're a Nuffnang blogger and made your way into Top 20, you'll get extra RM1,000 cash! Click here for more info. Stage 2: Make the Movie! Here’s where it all comes to life. It’s time to turn your script into a movie. Wow!! That’s a lot of money, man!!! You can buy lotsa things with that money! I already have in mind on what to buy if I ever win this contest! Hehe.. Anyway, here’s my story! Enjoy reading it while having your own Nescafe chilled coffee cans! And please vote for me!! Every girl has her own way of enjoying their own sweet little time to pamper themselves when they are having some beauty treatments in their own room. Some girls like to hear music while applying make-up, some prefer to sit in a bathtub and reading a magazine while waiting for her facial mask to dry up. But for Sophie, she would prefer to drink lots and lotsa amount of Nescafe Latte Can drinks which she’d pour into her pink coffee mug and add some of her favorite whipped cream on top of her latte drink while getting dressed every single morning. She would never miss to do this every morning while getting ready. She said it is her routine to drink coffee every time she gets ready in the morning as coffee really boost up her energy and could make her focus even more. So on one fine day, a good looking guy from her workplace which she has been eyeing for quite some time, asked her out. When Sophie heard about it, she got really really excited and was over the moon! However, her anxious behavior won’t let her relax at all. She keeps on drinking her coffee while applying her make up. It’s like every time she finishes one process of applying her make up, she’d drink one big gulp of her Nescafe Latte. This is also one of the things she’d do every time she got really nervous and tensed up. All of a sudden, she did not know what to wear, how to apply her make up or even which shoes goes with which bag! She keeps on changing from one outfit to another, and at the same time, she keeps on gulping her latte. So while Sophie was in the middle of her pre-date preparations she heard a knock on her bedroom door. Thinking it was her flatmate Susan, she called “ya..yea ya.. Juz kam ein Susan! Help mi! Ai dono wat tu wer!! !” and turned round to see her date David standing there with Calla Lilies in his right hand and chocolates on the other hand. He was 45 minutes early, and Susan had just let him in. Sophie was shocked to see him at the door and froze while holding her cup of latte on her left hand and a scissors in the other. She was wearing her zebra printed knickers with her pale green camisole with her brother’s necktie tied around her neck and was wearing only one boots on her left foot. And to make it worse, her upper lip and chin was covered with a fat amount and layers of the whipped cream that looked as if she’s ready to shave her beard and moustache! She froze and stood there for a few minutes not knowing how to react! David laughed out loud and with his surprised look he said, “Ohhh jeezz!! Ai din noe u're a man! Yu often shayve, Sofi?! Dat eis soo wiyerd! Ai olwiz tot yu r wan femenin gal. Bat wel, nevurmayn ai stil wan tu go auwt on a deyt wif yu. Ai wil weyt fo yu dawnsterz, k! Do teyk yor taim Sofi! Aim rilly sory ai am tu erly!”. Then David quickly put the flowers on her bedside table and in a flash he closed the door and ran downstairs to wait for her. It all happened too fast. Sophie was tremendously shocked and embarrassed of what just happened. She’s always known for her stylish personality at work and then in just few seconds, her chic personality has dropped terribly! She knew she had blown away her chance to be with the guy of her dreams because she really thought she has killed any chance of romance. But despite the fact that she had her fashion faux pas moment, she still went out on a date with David. In fact, they became so close ever since the embarrassing incident. Wani, boring le asyik advertorial je.. :( Takmo la bila ade advertorial je baru nak update k? Suka u yg dolu2..
nina: aww..dear..sorry! 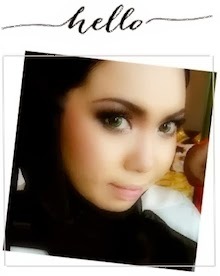 hehe..i mmg kena buat bende ni.. nnt i sambung ber blog mcm dulu k..skrg ni mmg mcm tgh takde life! asik email org takpon buat ads..sobs..
Hi, sorry, but shouldn't the words be ones that actually exist in the English Language? For example, Too or moree wurds dat aar pronawn da seym but aar diffurrant in meening and speling. I don't think dat or pronawn or seym or diffurrant are actual words that can be found in the dictionary. So those aren't really homonyms, they're just original words with bad spelling. Just to point it out.. I think you might wanna get the facts straight before posting another advertorial next time, because you wouldn't want to mis-educate the young people that are following your blog. Sore ray. Don mean two in salt yew. Jazz core wreck thing yore miss take.